The Man from M.A.R.S. is a solo space rock project of Jeffrey Hopp from Phoenix, Arizona. Jeffrey is also an excellent artist doing psychedelic, sci-fi spirited artwork. The artwork on this digipak is a good example. On his debut album he sings and plays all the instruments (guitar, synthezisers, drum machines, bass, theramin, sonic generators) by himself. His musical influences are Hawkwind, Tangerine Dream and Pink Floyd, and you can hear that in his music. 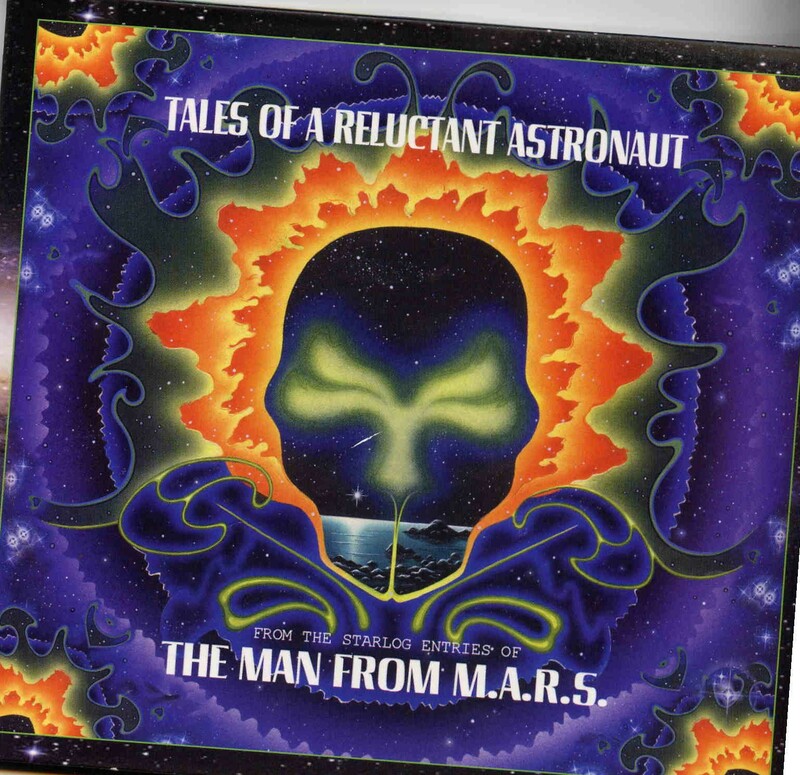 Tales of a Reluctant Astronaut is more or less a theme album about a lonely space pilot flying through space. The disc has 16 tracks in total, but almost half of them are just short, spacey and ambient pieces with some narration ”Starlog 081559”, ”Ship's Log 122372”, ”Stardate 051985”...). These are often the best parts, though... Jeffrey is very good at creating spacey, psychedelic sonic landscapes and UFO effects with his synths, and some of the actual songs are also pretty good. He really isn't that good as a singer, so some of the tracks where he sings are a bit annoying in my opinion. A good example of this is the first actual track ”Oblivion You Are the One” where he raps a bit in the Beck vein but pretty much out of tune. Other thing that bothers me is the programmed drums, but I never like them in this kind of music anyway. Jeffrey is thinking about getting his project on the road with a live drummer which is a good idea. Some of the best tracks (in addition to the short ambient pieces) are the synth-driven, slow ”Twenty-Five Light Years” that is instrumental apart from the cool Vocoder narration towards the end and another slow, spacey Pink Floyd styled number called ”Reluctant Astronaut” that has soft vocals that are quite pleasant. Also the peaceful, rather pretty instrumental ”First Moment of Forever” that has a nice synth melody and light guitar stuff until it gets heavier at around the three-minute-marker works out just fine.